Should I ignore this disk error? But if I format the parent disk as Apple Partiton Map or master boot record it does not show any error while repairing the parent Disk. So should I worry or should I do something about it? Any ideas? You should never ignore disk errors. Assume it's dying; make backups, you can never have too many. I use time machine and carbon copy cloner, but do what suits you. I also use disk warrior sometimes to buy some time if I think a disk is going. But don't kid yourself, that drive is probably not healthy and it wouldn't be good to fool yourself into thinking everything will be fine. It may be, but it also may not be; if you have important files, act accordingly, and while hoping for the best, plan for the worst. Not the answer you're looking for? 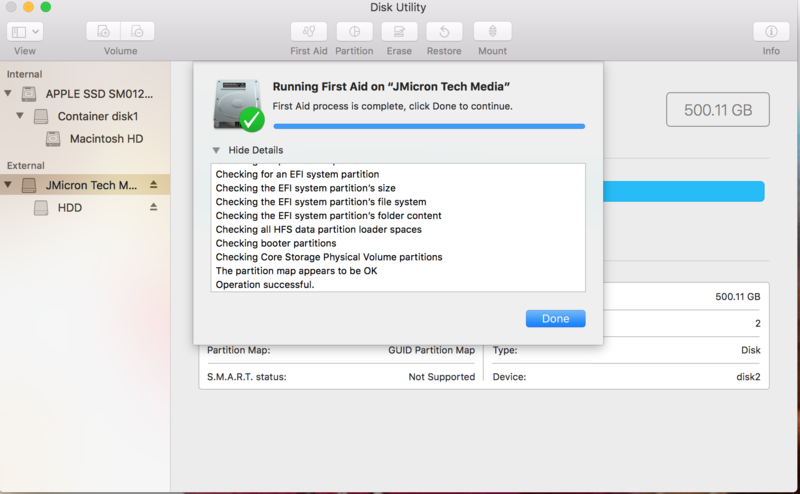 Browse other questions tagged hard-drive disk-utility . 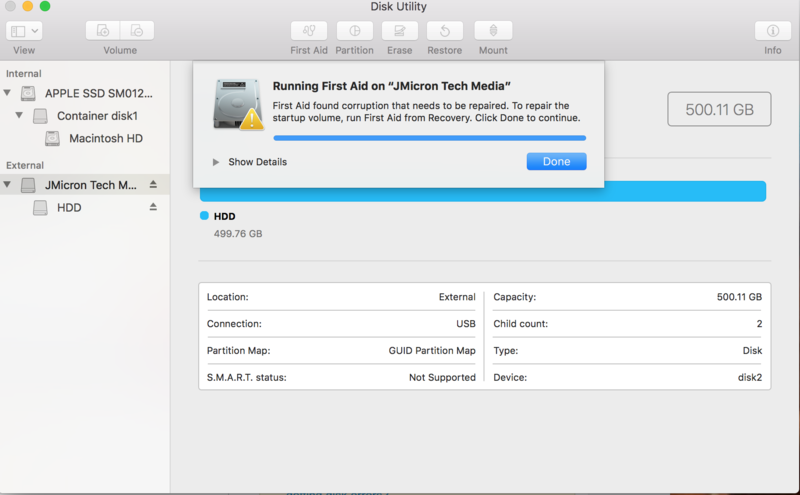 How to fix “Error: -5341: MediaKit reports partition (map) too small” after upgrading to a larger hard disk?